Tomorrow’s “Grand Central Oyster Frenzy” at the Grand Central Terminal is a must for fans of this bivalve delicacy. Admission is free to watch the eating competitions as well as the chef demos (with free tastings!). The main event of the eating competition is a professional shucking contest featuring six-time champion Luis “The Mexican Menace” Iglesius vying for the $5,000 prize. In addition, there will be public slurp off and beer shucking competitions. 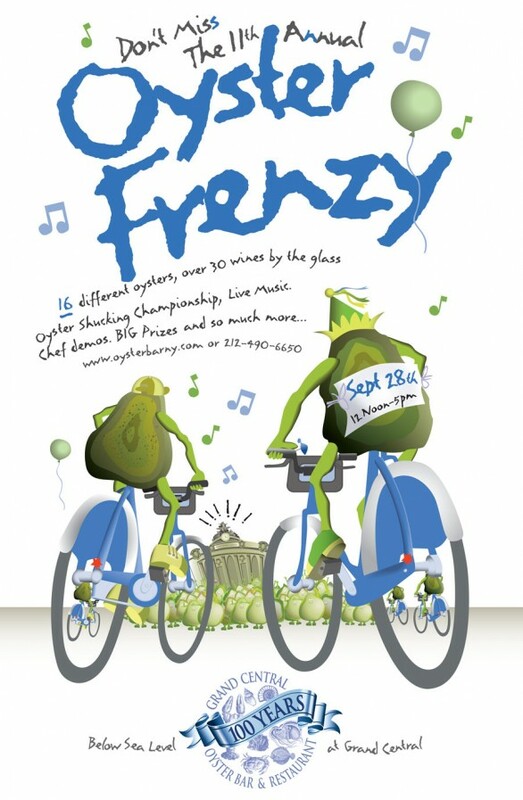 The “Frenzy,” now in its 11th year, goes down Saturday, Sept. 28 at the Grand Central Oyster on the lower level of the Grand Central Terminal from 12 p.m. to 5 p.m.